It's 15:28 in Renens, Switzerland right now. 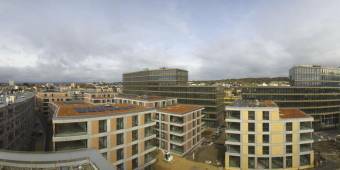 Renens: roundshot 220° Panorama Quai Ouest, 0 miles away. Belmont-sur-Lausanne: Several Views, 4.2 miles away. Cugy: meteo-cugy.ch, 4.3 miles away. Morges: roundshot 360° Panorama Ville de Morges, 4.8 miles away. Morges: roundshot 250° Panorama Port, 4.8 miles away. Chexbres: roundshot 360° Panorama Chexbres, 9.6 miles away. La Praz: Weathercam La Praz, 12.1 miles away. Thonon-les-Bains: Panoramique HD, 12.3 miles away.